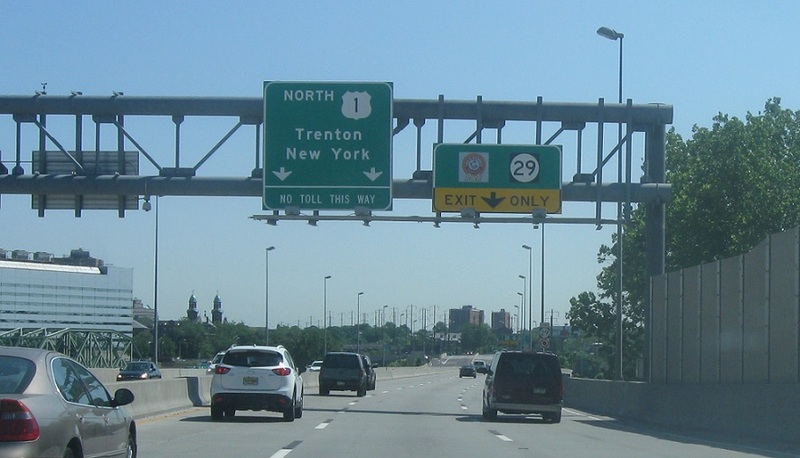 Just after the 32 split, vehicles using the truck alternate should exit at the last Pennsylvania exit. 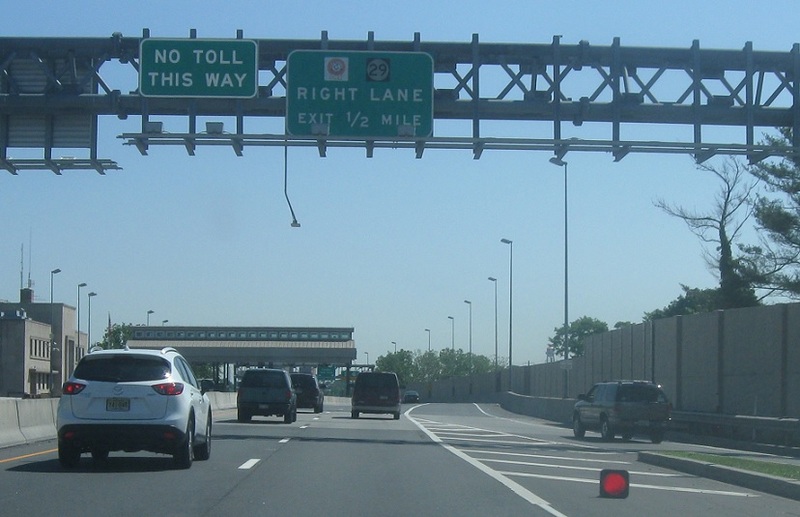 Traffic headed into Pennsylvania over the Delaware River Bridge faces a toll, but there’s no toll for 1 north traffic. Just over the line we’ll approach New Jersey 29, which is a tunnel, so hazmats are prohibited. 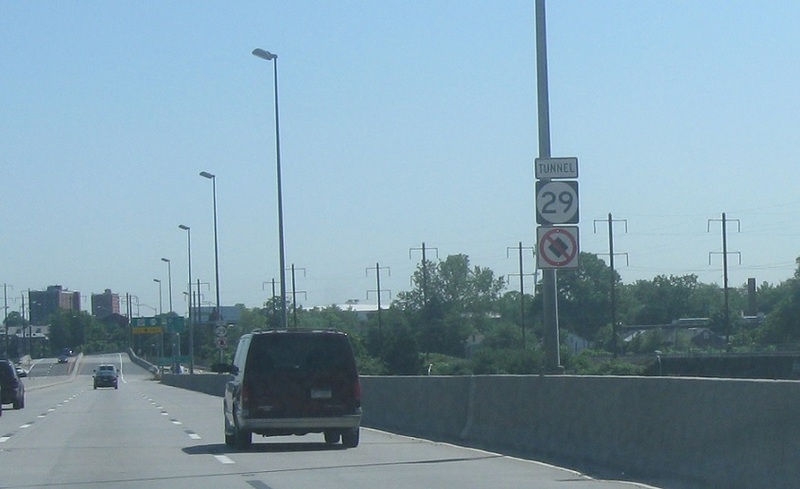 Keep right for Route 29 over the bridge. 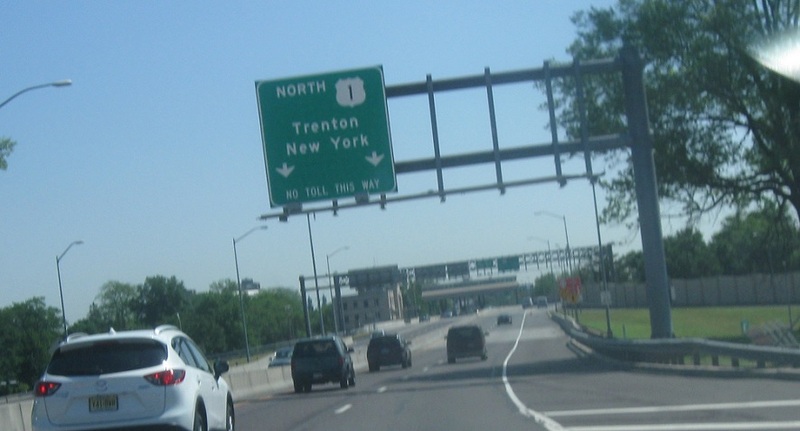 As soon as we cross the bridge we’ll enter Trenton, the capital of New Jersey. 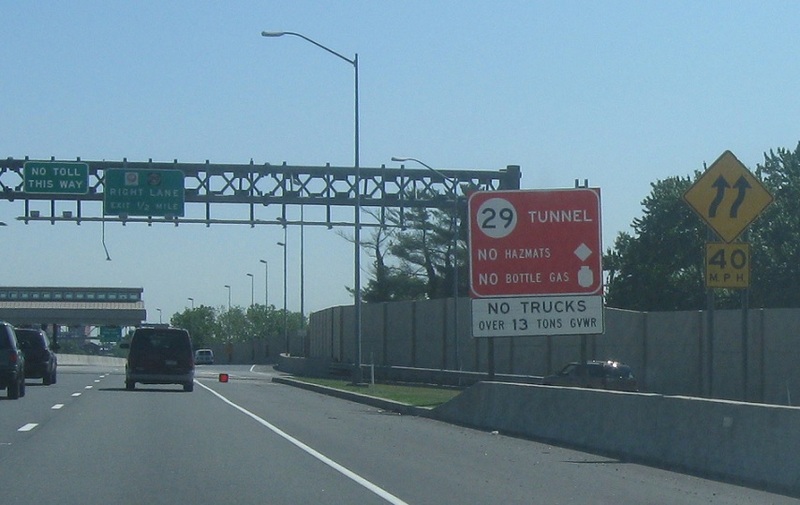 Reminder about the hazmat restrictions on Route 29 as we cross the Delaware River into New Jersey. US 1 continues through NJ up to New York City.